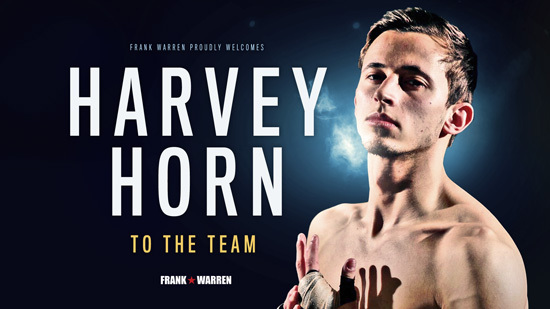 Former Team GB amateur standout Harvey Horn has signed a long-term promotional deal with Hall of Fame promoter Frank Warren. 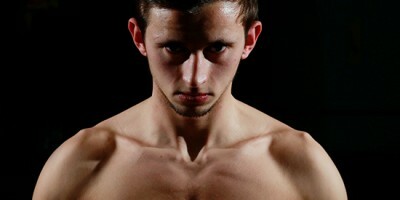 Horn, 22, trains out of the famous Peacock Gym in Canning Town under highly-respected coach Mark Tibbs and will start life in the professional ranks campaigning at Flyweight. The East Londoner’s boxing career took off at school after he was put on the Priory School’s Advanced Apprenticeship in Sporting Excellence (AASE) programme. ABA champion in 2014, he continued his progression on the boxing scene in 2015, claiming silver at the European Championships in Bulgaria before representing Team GB at the inaugural European Games in Baku later in the year. “I was part of the Team GB setup for three years and enjoyed a lot of success,” said Horn. “Becoming the European U22 Champion was a highlight during my time there. “I was also part of the World Series of Boxing British Lionhearts team. I had four fights in the WSB and won three of them. “After the disappointment of not being selected for the Team GB Olympic team I felt it was time to start a new chapter in my career. “It’s a brilliant time to be signing with Frank. I’m really excited to see how the next few years pan out with him guiding me. A graduate of the legendary Repton ABC, Horn is adamant his schooling will hold him in good stead now that he has turned over. “As an amateur I was a counter puncher and point scorer. Now I’m sitting on my shots a lot more and fans will see a lot of flair and entertainment. I have a great shot selection and I’ve got a very good engine as well. “I’m looking at the belts around at Flyweight and I’m putting pressure on myself to do well very quickly. I’m expecting to be jumping around weights to begin with, I’ll fight anyone. “I’ve always been used to testing myself against the best, whether that has been domestically or in the World Series of Boxing. “I expect to do the same now that I have joined the pro ranks. I want to stay active, impress and get my hands on every title I can. News on Horn’s professional debut will follow in due course.